This post was sponsored by Ling Ling. All opinions are my own. Chinese Dry Fried Green Beans and potstickers are two of my favorite foods. Served together, they make up one of my go-to quick and easy dinners. Earlier this month, I wrote about Chinese New Year foods that the Chinese believe bring good luck in the new year. But the symbolism associated with different foods prevails year round in Chinese cuisine. Potstickers are a great example of this. Their invention, according to legend, was a fortuitous mistake by an aged chef to the royal household. He forgot a pot of dumplings on the stove, allowing the bottoms to burn. Hoping to save his father from the emperor’s wrath, the chef’s quick-thinking son presented the burned dumplings as an exciting “new recipe” created just for him. The emperor fell for it! He liked the added crunch of the browned bottoms. Potstickers were an instant success. Shaped like the gold and silver ingots of ancient China, these addictive dumplings became edible symbols of wealth and prosperity. 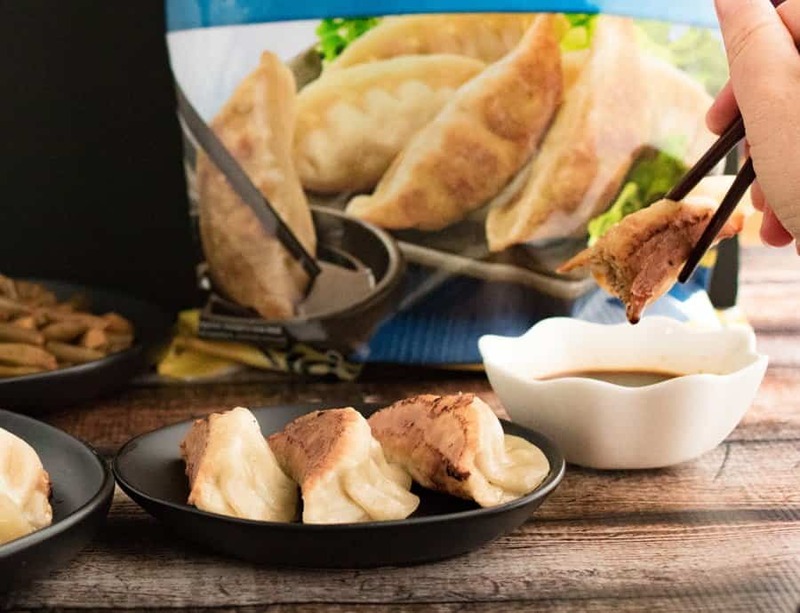 Since childhood, potstickers have one of my favorite foods, and my 9-year-old son has developed a similar addiction to them. 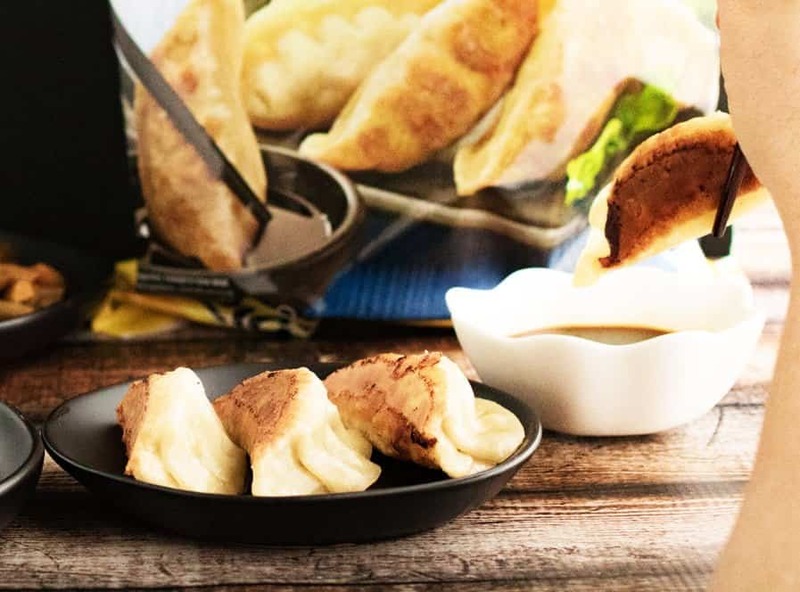 We enjoy making them from scratch, but when I want a quick meal, I’m thankful for Ling Ling and their signature frozen potstickers. They are quick and easy to prepare, and they always deliver the authentic Chinese flavor I crave. 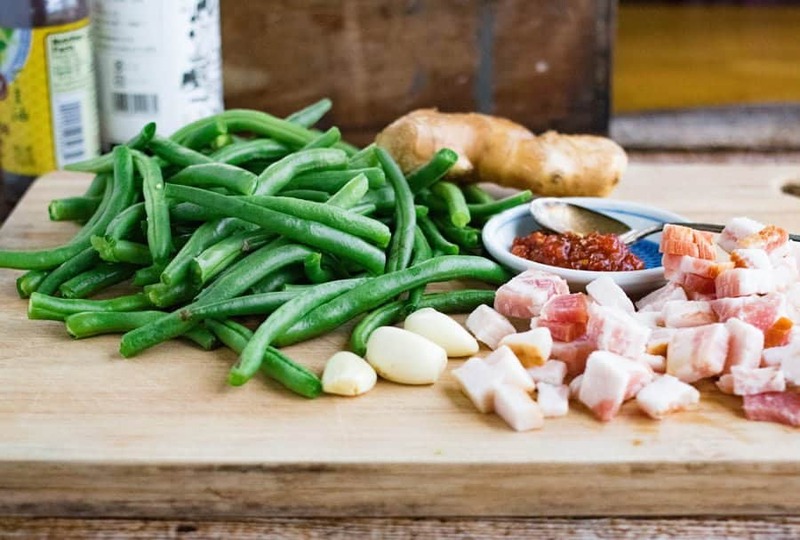 I tried Ling Ling’s Chicken and Vegetable Potstickers, which take just about 10 minutes to prepare–easy to do while I’m preparing Chinese Dry Fried Greed Beans with Bacon. How’s that for an easy dinner? 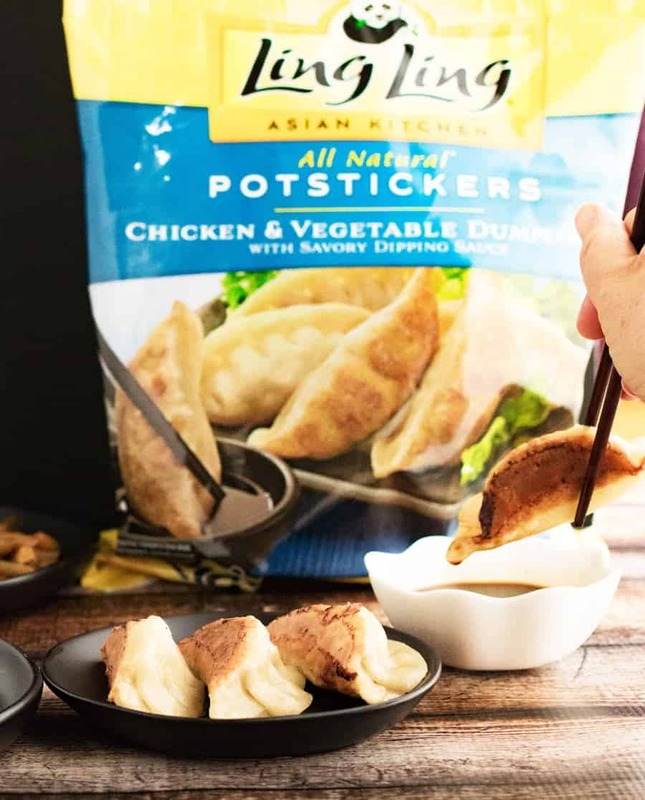 If you’re interested in other quick-cooking, Asian-inspired frozen meals, including the delicious fried rice dishes from China and Japan and authentic Asian-style noodles I’ve written about previously, visit the Ling Ling website to discover their products. Use this coupon for $2 off any Ling Ling frozen entree to give them a try. Use the store locator to find out where to buy Ling Ling products in your neighborhood. 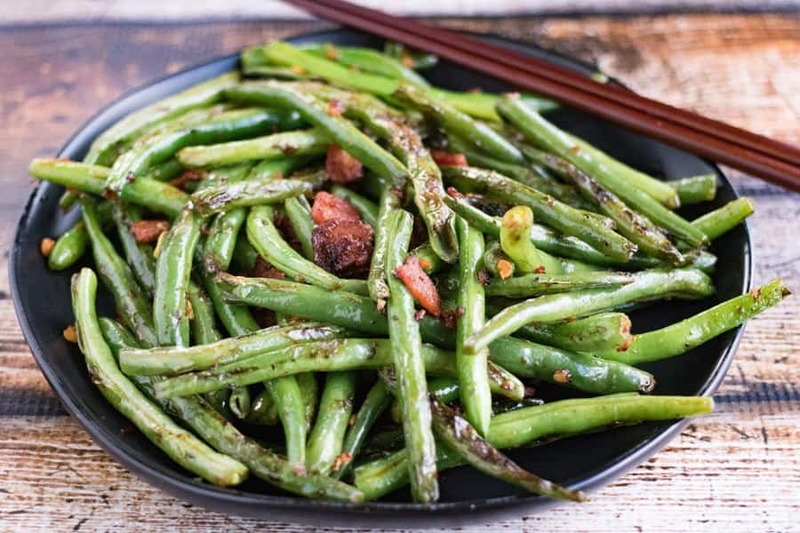 These Chinese Dry Fried Green Beans are my take on the classic Sichuan dish that is usually studded with ground pork. The first time I used bacon in this dish was simply because I had it in the fridge, but I loved the hit of smoky flavor. 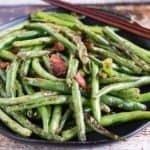 I love it as a side dish because it’s mostly vegetable, but packed with flavor not just from the bacon, but also ginger, garlic, and chili paste.